It's taken two years but we've now become that family with the buggy assault-course to get in/out of the house. First up there's the Cosatto, our first and main buggy that's comfy for tiny man and great for long walks, but heavy for schlepping up and down stairs / the Tube / town etc. There's the Mothercare XSS, which I initially raved about but doesn't lie flat, doesn't have a sun shield and is a bit tinny when pushing around... And now, a newcomer amongst the midst. One that threatens the other two's existence.. Step (wheel?) forward the City Tour. Its older sibling the City Mini is one of the most popular buggies around: it's the one that in-the-know parents usually opt for, for it's one-handed easy fold action and nice steering. In fact, as I wrote in a piece featured in the Daily Mail, it's even the buggy with best eBay value (vital if you're Definitely Not Having Any More). So what's different about the City Tour? This is the buggy that pops into a bag and turns into a (slightly cumbersome, but fine for short carrying spells) rucksack. 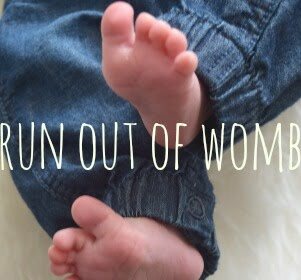 It's suitable for babes from 6 months (it doesn't lie flat for newborns) to around 3 years, and is seriously nippy. * It's fairly easy to fold away: you press one button to fold away the sun/rain cover; then simultaneously press a red button on the chassis and pull a strap attached to the seat for the buggy to collapse into itself; it then stands upright on its own and takes up little car boot / house space. And that's why the City Tour is threatening for supremacy in our household. 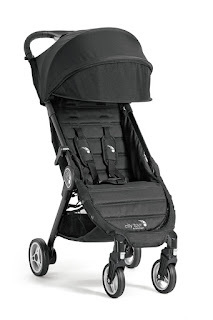 It feels heavy to me compared to the Pockit GB/Mothercare XSS as that's a tiny 4.3kg - but, if you're comparing the City Tour to most 'travel system' strollers, it's going to feel light. 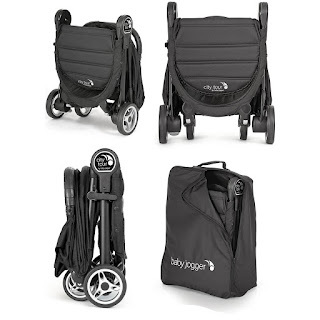 And, for tots from 6m onwards, it perfectly works for everyday needs, walks, travel, PLUS air travel, PLUS it fits in a bag that you can shove on your back in airports, stations, etc. It's a mighty clever buggy that's well worth joining your family. * Run Out of Womb was sent a review City Tour buggy but rest assured we're seriously gobby and only rave about what we love.